If you’re a business owner, then you know that your team is the backbone to your success. It only makes sense that you want to take care of them as well as you possibly can. To this end, many small business owners provide a benefits package, in order to attract new employees, and help retain the ones they already have. When it comes to health insurance, business owners have options. One method that some small business owners use to help protect their employees is to offer a health insurance stipend. But what does this arrangement mean—and is offering a stipend really the best way to take care of your team members? With a health insurance stipend, you, the employer, offer a fixed amount of money to your employees every month in order to help them purchase individual health insurance. In most cases, this contribution is added onto employees’ regular paychecks, and it functions just like taxable income. It’s that simple. Essentially, the business owner increases each qualified employee’s monthly salary in order to assist and encourage them to purchase health insurance. 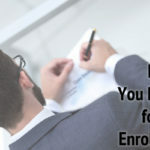 There are a few very important things to keep in mind, however, before you begin offering a health insurance stipend. First, with a stipend, there’s no requirement that your employees actually use this additional money to purchase insurance, even if that’s your intention in offering it. Under this arrangement, employers cannot require employees to submit proof of insurance. Another thing to bear in mind is that this stipend functions just like taxable income. Businesses will be required to pay any applicable payroll taxes, and employees must claim the amount received as income. With this in mind, it’s important to ask yourself if offering a health insurance stipend to employees is really the best solution for your business. On the positive side, stipends are a fairly straightforward and streamlined arrangement for businesses. But there is no guarantee that your employees will actually spend this stipend on their healthcare needs, and your business may face some additional taxes as a result. What’s more, many prospective employees may not actually see a stipend as a real “benefits package,” which could turn off the very people you were hoping to attract. 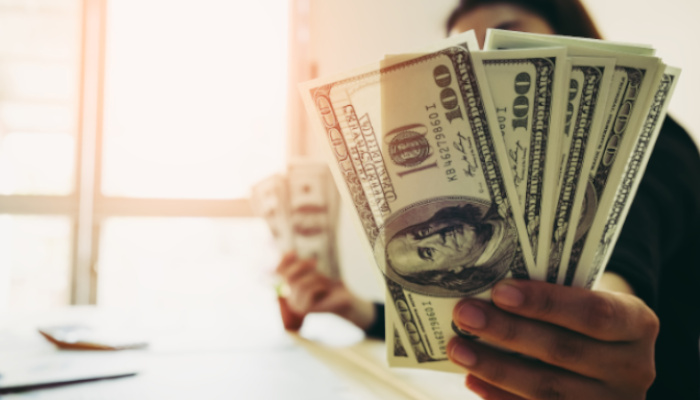 For many businesses, presenting employees with a health insurance stipend is seen as an alternative to offering a group health insurance plan. But it’s worth asking: Why are you seeking out an alternative in the first place? Group health insurance plans sometimes have a reputation for being costly or time-intensive for business owners. 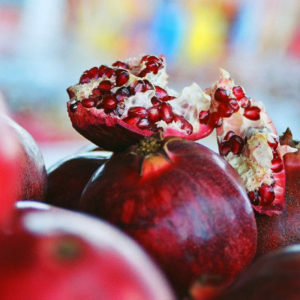 But in reality, enrolling your business in a practical, effective, and affordable group health plan is often much easier than you might think. First, it’s important to keep in mind that there are group health plans out there for businesses of all sizes. The vast majority of businesses will be eligible for some type of group health policy, from start-ups with as few as two employees to organizations with fifty or more active staff members. While costs and expenses will vary from plan to plan, there are ways to structure group health plans that can make them far more affordable than many business owners think. Group health also offers numerous benefits to business owners that stipends and other arrangements cannot. 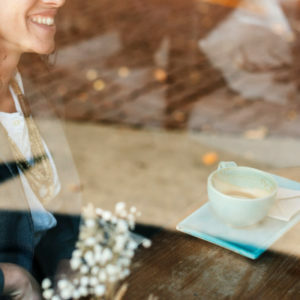 For one thing, business owners can enroll their group in a group health policy at any time throughout the year (which means you and your employees won’t have to wait for the Open Enrollment period to get coverage). Businesses also have the flexibility of adding or dropping employees to and from the plan at any time throughout the year, too. You can also reenroll in or make substantial changes to your group health plan once per year. And unlike health insurance stipends, group health coverage may actually help certain businesses earn substantial tax benefits—all while helping your current employees stay healthy and productive, and helping you to attract new, top-level talent to your team. 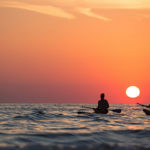 Whether you’re weighing the pros and cons of health insurance stipends, group health insurance plans, or alternative arrangements (such as a small business HRA); sitting down with a health and life insurance expert is one of the most important steps you can take to make sure that you’re making the right choice for you and your business. 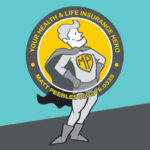 That’s where health insurance superhero Matt Peebles would be happy to swoop in and help! 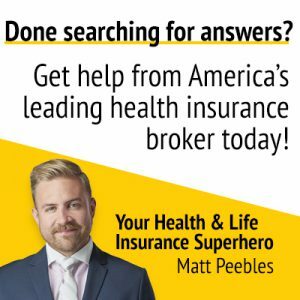 As one of the nation’s leading health insurance consultants, Matt is uniquely qualified to help you determine the right course of action for your business. Matt and the Enrollment Specialists don’t believe in cookie-cutter care, and we’d be happy to sit down with you to learn what sets your business apart. From there, Matt will help you customize the health insurance coverage that best fits your business’s needs—all at absolutely no cost to you. Working with Matt makes enrolling in a group health plan as easy as can be. 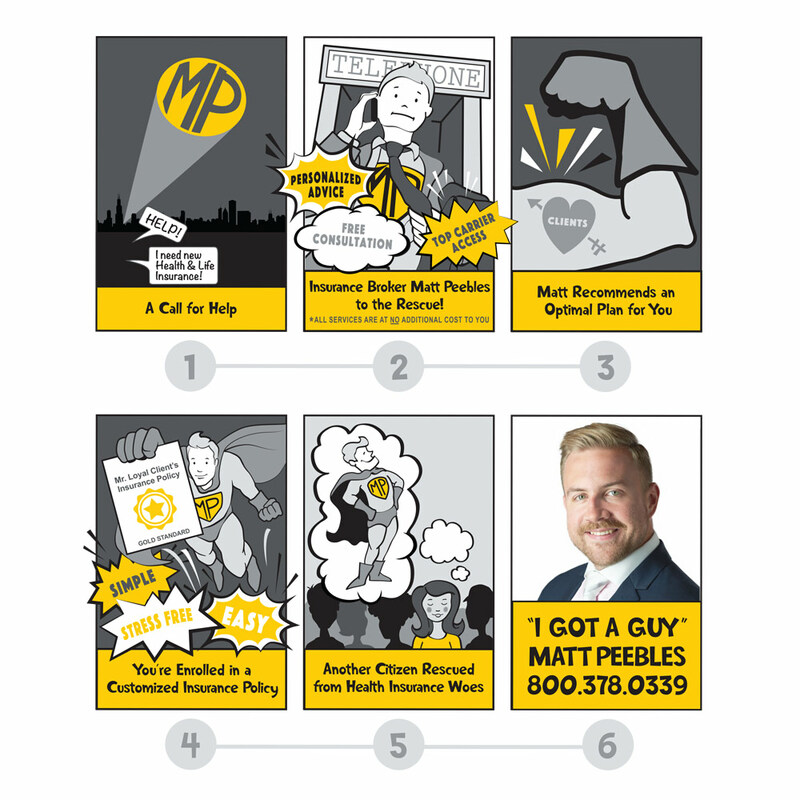 At every step of the way, Matt and the Enrollment Specialists will help you understand your options, and highlight the value of your potential plan. Working together, we’ll make sure that you’re making the best decision for your business, with an insurance plan that ensures that your costs are minimized, while coverage is at its peak. Or, if you decide to empower your employees to make their own health insurance choices by offering a stipend, Matt can help there, too, because shopping directly with insurance companies can be intimidating, healthcare laws and regulations are always changing, and it can be hard for your employees to tell whether or not they’re actually getting the best value for your money. With Matt, your employees can have a go-to resource, available to help them customize the individual health insurance policy that will best meet their unique needs. No matter what kind of health insurance benefit you offer, you and your employees will always be able to say “I Got A Guy” for all things health insurance. Whenever you have questions about your policy, need new medical cards, or want a go-between to work with your insurance provider, Matt will be there to make things right. He’s always just a quick phone call or email away, and it will never cost you a cent to use his services. Have any more questions? Ready to make the right health insurance decision for your business and your team? Drop us a line today to get the conversation started.